The appearance of your teeth is equally important as their health. Unfortunately, if you are like one-third of Americans, you do not like how they look. It is easy to hide your mouth when speaking, smiling, or taking pictures because you are insecure with your looks. You can stop hiding behind your imperfections with direct bonding in Arnold. JL Dental will transform your teeth using a minimally invasive, effective treatment to give you a smile you will want to show off. 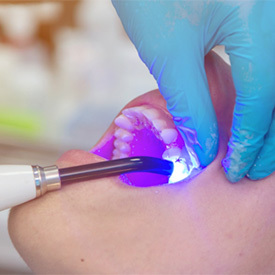 Treat cavities using an alternative to metal fillings. Make shorter than average teeth appear longer. Cover dark tooth discoloration and stains. Close gaps between teeth without braces. After an initial consultation with your cosmetic dentist in Arnold to ensure you are a candidate for dental bonding, you are scheduled for your appointment. Your teeth are cleaned before we place a weak acid on your tooth. This is necessary to open its pores to encourage a secure bond between the resin and the tooth. The acid is rinsed off, and we use a color guide to find the perfect shade for the resin. The resin is applied to your tooth and sculpted into the ideal shape. We use a special blue light to quickly harden the material. 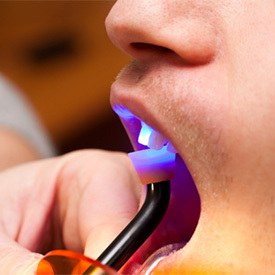 Finally, your tooth is filed and polished to give you a radiant new smile. Direct bonding is a preferred cosmetic treatment because it is minimally invasive and does not permanently alter the structure of your teeth. In fact, you may not even need an anesthetic. You can expect the entire process to take about 30 to 60 minutes per tooth. If you are having several teeth treated, we may need to schedule more than one appointment. Use a high-quality dental floss daily. Avoid anything that can cause tooth discoloration, like coffee, tea, or smoking. Do not chew on inedible objects. Do not use your teeth as tools. Do not chew overly hard or sticky foods with the bonded tooth. 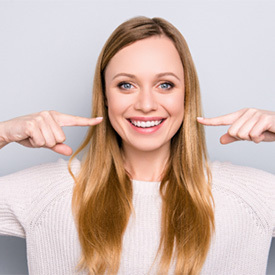 You can get the smile of your dreams quickly using a minimally invasive treatment. Contact JL Dental today to see if direct bonding is right for you.